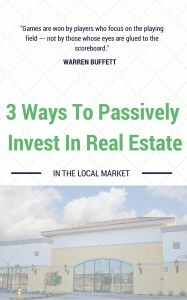 You’ve probably heard the horror stories about people who buy a property for investment purposes, and then that property turns out to be a huge money pit rather than a money-making asset. It can certainly happen, but it doesn’t have to if you keep in mind these 5 features of a profitable investment property in Charleston. You most likely won’t want to invest in a property in a high-crime area. On the face of it, this probably seems to be the most obvious of our 5 features of a profitable investment property in Charleston. But things aren’t always what they seem on the surface, so you have to do a little digging. Just keep in mind these 5 features of a profitable investment property in Charleston, and you’ll likely be well on your way to a sound investment. If you’d like to discover more about acquiring profitable investment properties, just give us a call at (843) 900-HOME or fill out the form on our website.